I’m also working on a big project in another area of my life, and that’s eating up a ton of time, but I’m not quite ready to share the specifics of that yet. Costuming! I’ve been costuming! 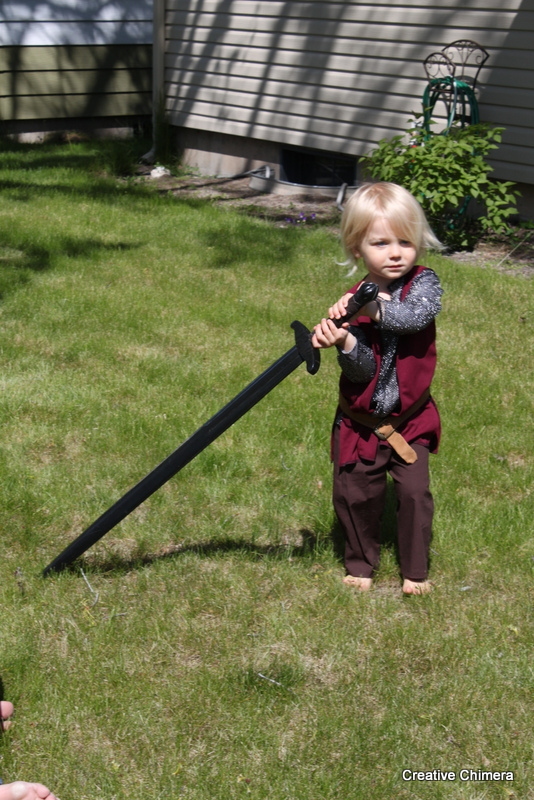 Miscon came around again this year, and I had a lot of fun creating a knight outfit for Munchkin, a princess dress and Arya Stark outfit for the little girl of another friend of mine, and a Stark cloak for the friend himself. 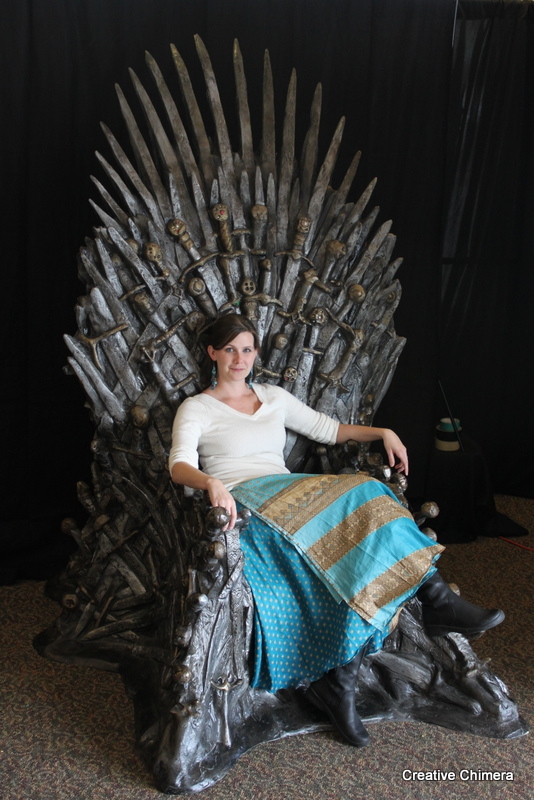 My outfit, regretfully, imploded at 2 a.m. the morning before the con, but I managed to get a picture on the Iron Throne anyway. 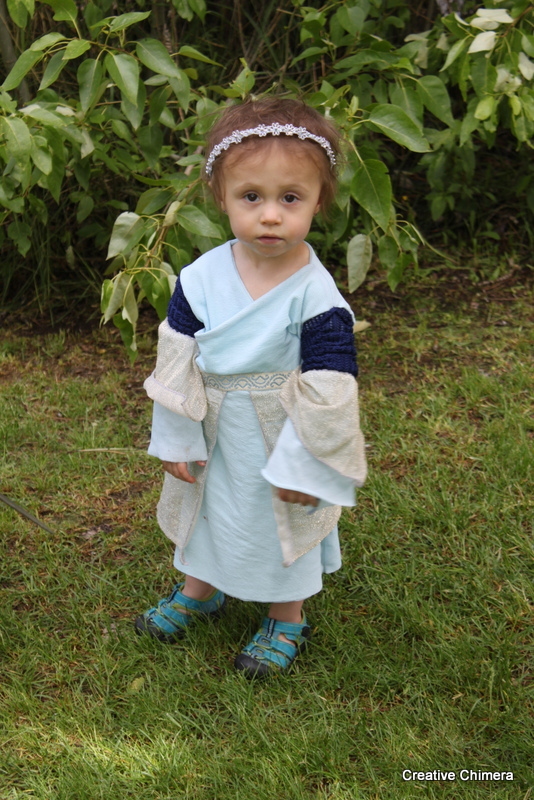 His beautiful princess… Sadly I do not yet have a picture of this little gal’s Arya Stark outfit… coming soon, I promise! The Iron Throne you say? 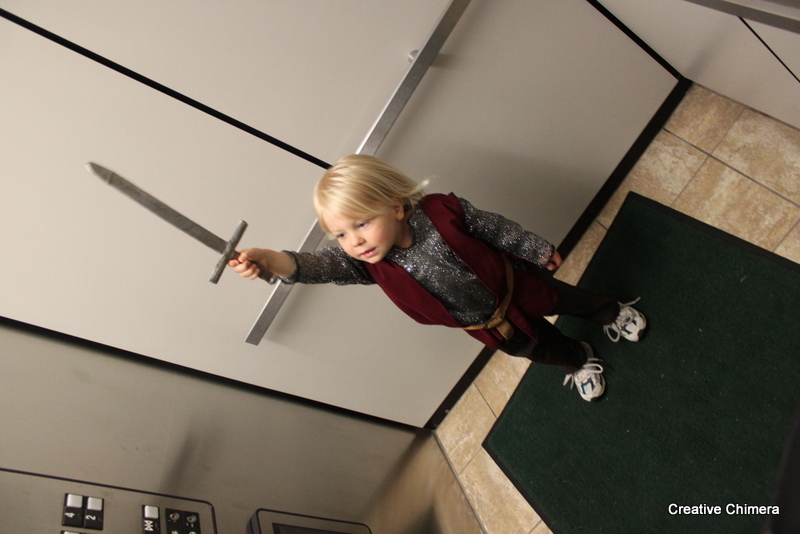 If you’re familiar with the HBO Series Game of Thrones – you’ll recognize this. George R.R. Martin, the author of the book series, was the Guest of Honor at our little con this year, and one of the main organizers (Justin over at There Is No Try) managed to bring in the throne. I made the cloak Martin is using as a blanket… yay! He touched it! So, in the same vein as many of my posts before, I shall pick myself up by my bootstraps and post more. What do you say? I stopped by to view your blog and ended up reading THE.WHOLE.THING! You’ve got an incredibly easy air and highly entertaining style. Thank you for your musings! Aw, thank you so much. That is incredibly sweet and encouraging! Thank you for reading!! !